The ThermiSmooth™ is performed using a specially designed thermistor regulated hand piece which is supplied with the ThermiRF™ system. ThermiSmooth™ delivers precise heating to the skin’s surface. ThermiSmooth™ treatments are gentle and patients often say it feels like receiving a warm massage. Sustained heat is applied to your skin using the ThermiSmooth™ handpiece and Thermi RF system. This controlled heating of the skin initiates a process where the skin begins to tighten and the signs of aging are reduced. What areas of the body can be treated with the ThermiSmooth™? 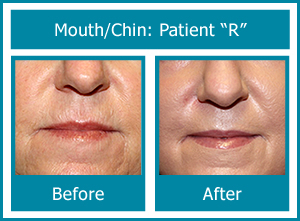 ThermiSmooth™ treatments can be safely used on your forehead, periorbital area (eyes), cheeks, chin and jowls; around the mouth, and neck. What skin conditions can be corrected with ThermiSmooth™? 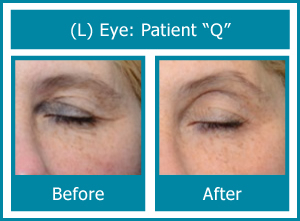 Your ThermiSmooth™ can be used to treat drooping eyelids; small wrinkles below the eyes; shallow lines on the upper lip and around the mouth; and smile lines (crescent-shaped lines at the corners of your mouth). ThermiSmooth™ is an excellent wrinkle reduction treatment, however if you have very deep wrinkles or loose, sagging skin Dr. Warren may recommend the ThermiTight treatment. ThermiSmooth™ treatments are very gentle. No anesthetic is needed and many patients say it feels like a very deep, heated massage. There is no downtime. Directly following treatment there will be a mild redness that will subside in a few minutes to an hour for the majority of patients. What can I expect after my ThermiSmooth™ treatment? Our patients generally notice improvement with the first or second treatment for superficial wrinkles. When treating loose skin, it may take five or six treatments at two-week intervals. This is because the production of new collagen is a very slow process. Your body will continue to produce new collagen and you will see continual improvement for 2-to-3 months following your last treatment. Can the ThermiSmooth™ be used on any skin type? ThermiSmooth™ is safe and effective on all skin types.